I met Kelli years ago at MOPS (Mothers of Preschoolers). She had kids with similar ages and we became friends. Over the years, we have had play dates, girls' night out and we even ran the Karaoke 5k together. She is an upbeat and happy person who spreads a little cheer everywhere she goes. 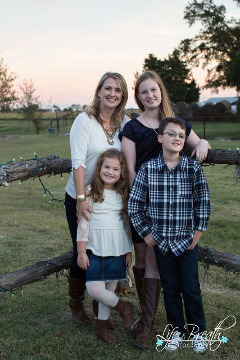 Her kids have inherited her infectious personality and the shoot was so much fun. Lots of personalities and sibling interactions. I am so blessed to call her friend!